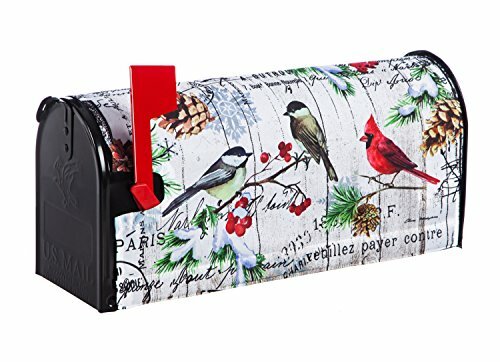 Add a feeling of hospitality and curb appeal to the front of your home with a fashionable mailbox cover. Made of durable, 310 denier nylon fabric, this cover features an opening for your mailbox's flag and latch. The two magnetic strips make attaching to your mailbox a snap. This mailbox cover measures 18.5 x 0.02 x 20.5 inches and is made to fit most standard sized mailboxes. If you have any questions about this product by Evergreen Flag, contact us by completing and submitting the form below. If you are looking for a specif part number, please include it with your message. Happy Halloween - Mailbox Makeover - Vinyl with Magnetic Strips - Licensed, Copyrighted and Made in the USA by Custom Decor Inc.